Photos: On Holly. Glengarriff woods, Co. Cork, SW Ireland. 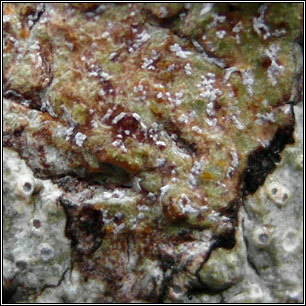 Immersed whitish or creamy yellow thallus, usually bordered by a thin brown line. Very small brown apothecia, irregularly branched or +/- stellate, usually thickly pruinose. Spores are oblong-ovoid, usually 4-septate with an enlarged upper cell. 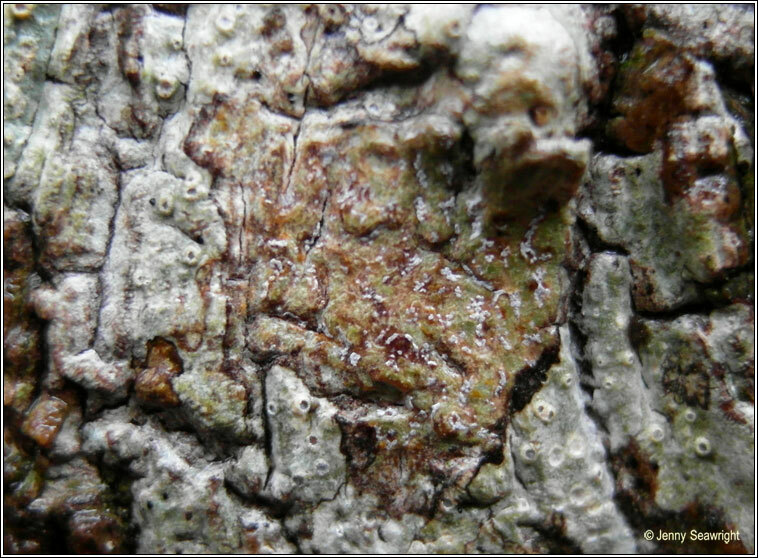 Pycnidia absent. Thallus: K-, C-, P-. 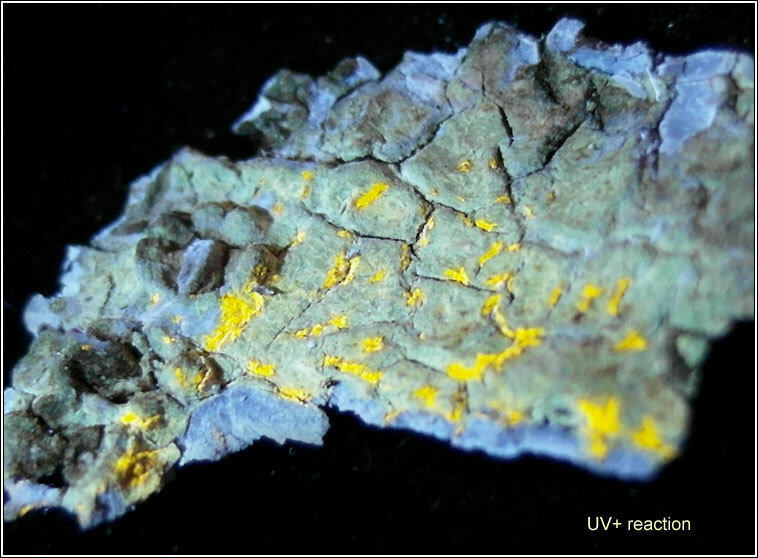 Pruinose apothecia: UV+ bright orange-yellow. 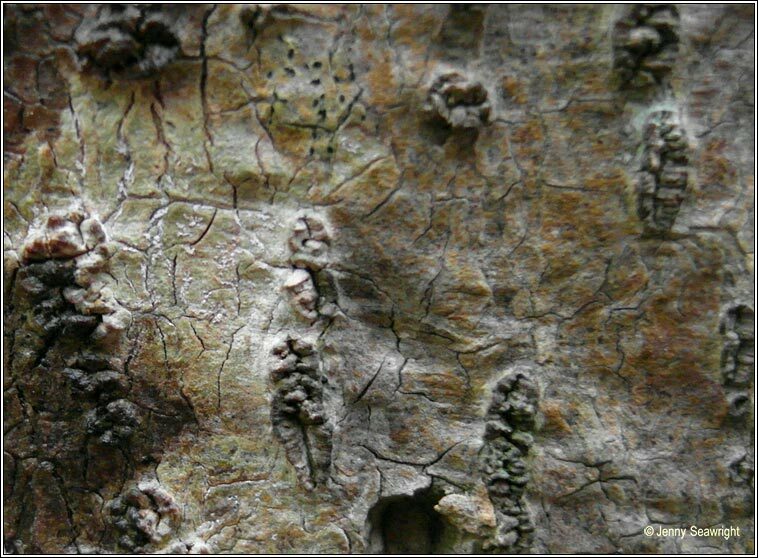 Rare, occurs on smooth-barked trees (especially Holly) in humid areas of old woodlands.